Yesterday was my 21st birthday, and I celebrated by going to class all day, coming home and napping, doing homework, and watching the first disc of The Tenth Kingdom. I fell asleep before 1am and didn’t even consume my first legal drink. I know, I’m SUCH a party animal. 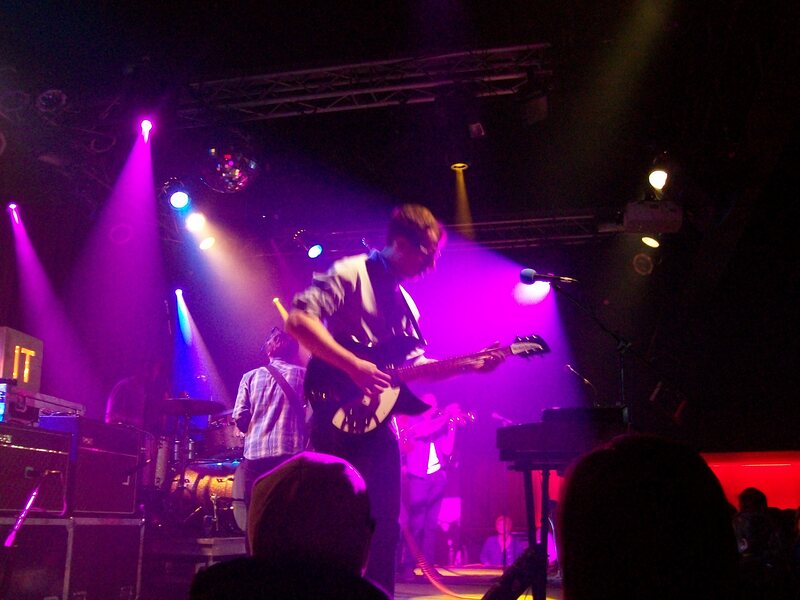 My birthday wasn’t all boring though, because the night before I went to the Hellogoodbye concert with one of my friends, and it was AMAZING. Yes, we were on the side, but it was still great, nonetheless. Because my week has been so hectic and short on free-time, and because I knew back in January that it would be like that, when I first went back to work I told my teacher that I would not be coming in on this date. 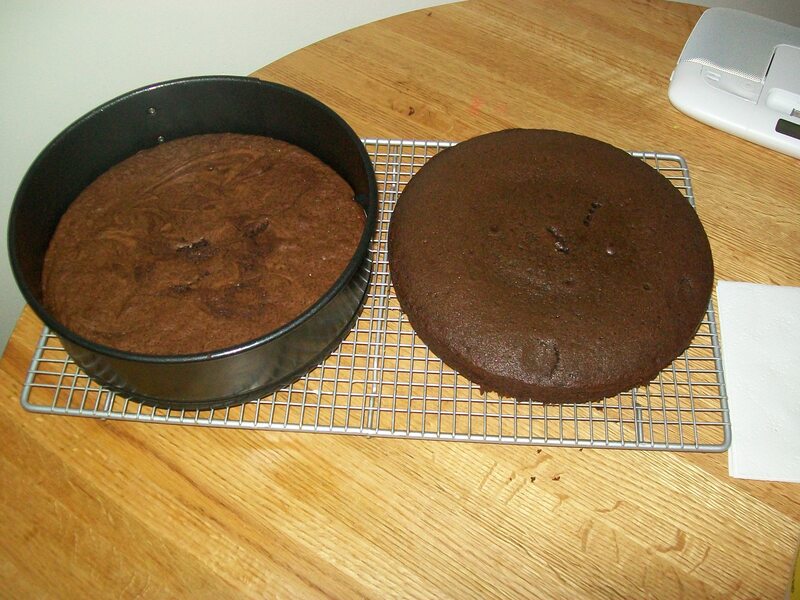 I chose to designate this day as my “Epic 21st Birthday Cake Baking Extravaganza” day (I just named it that today). This way I could relax and actually enjoy the process, even though I didn’t know what I would be making at the time. 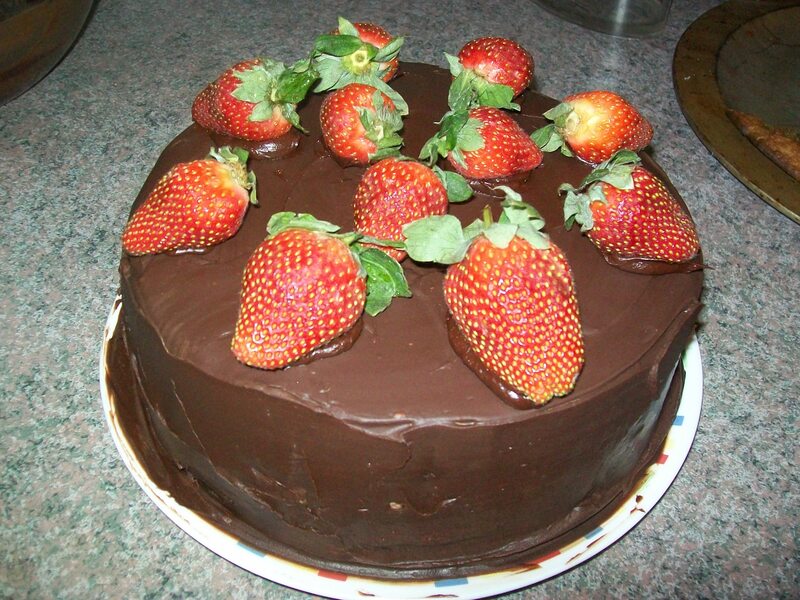 Enter the Chocolate Overdose Cake I found on Beantown Baker’s blog. 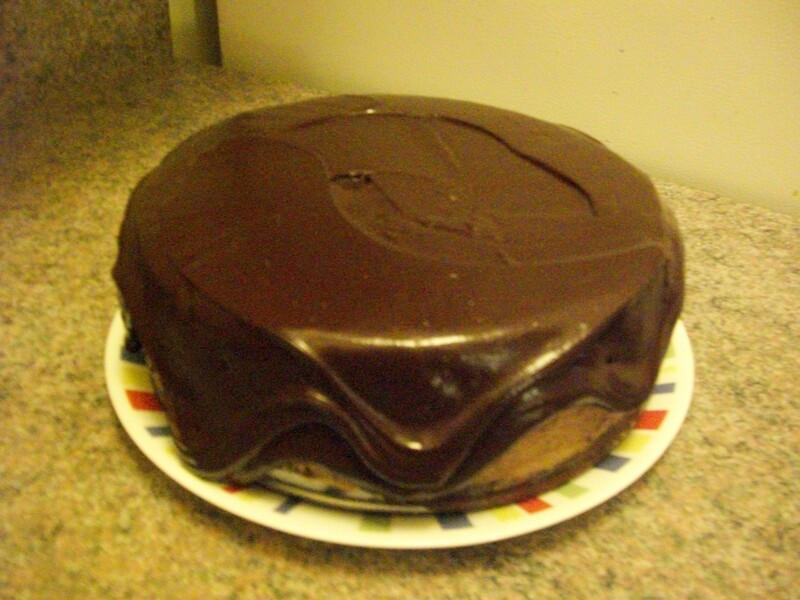 This cake has been by no means inexpensive for me to bake. I would not have been so bad if I already had a springform pan, but at least I have one now (although I would have liked for it to be deeper, oh well). I think I’ve spent nearly $30 on supplies for this, but I already know it will be worth every single penny. I started this process by taping all of my ingredients/instructions/timings to the cabinet doors to keep them in sight, but out of the way. 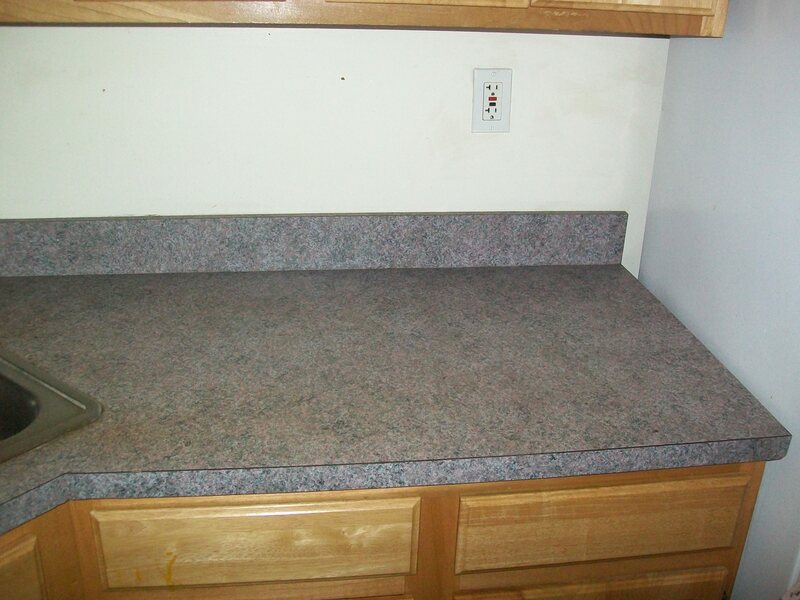 Then I cleared off the counter and moved everything to the tables. There’s so little counter space here that it just wouldn’t have been possible to make the cake with everything still out. With my iPod playing my Damian and Keith playlist, the extravaganza began. 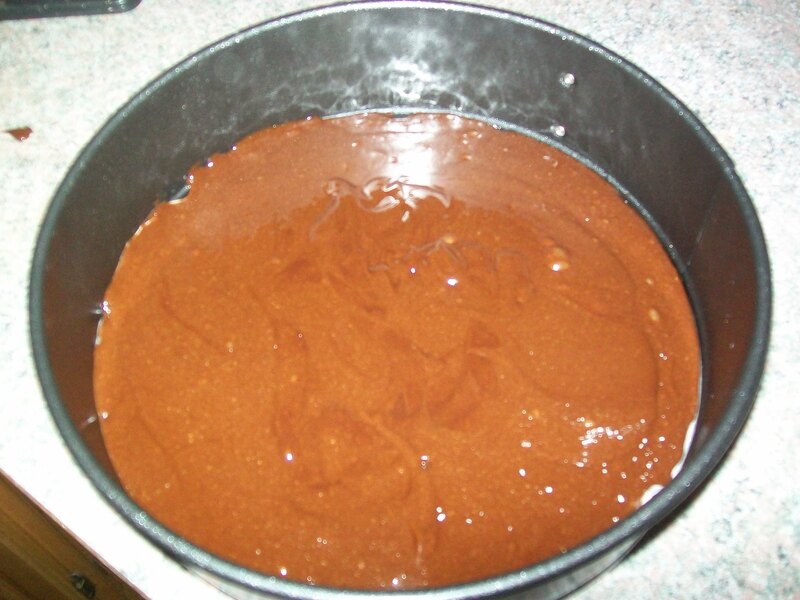 I started with the brownie layer, so I put some water on to simmer and sifted together the dry ingredients while waiting. Note the green highlighter I’m using to cross out ingredients and steps on my printed out recipe. I’m so prepared. 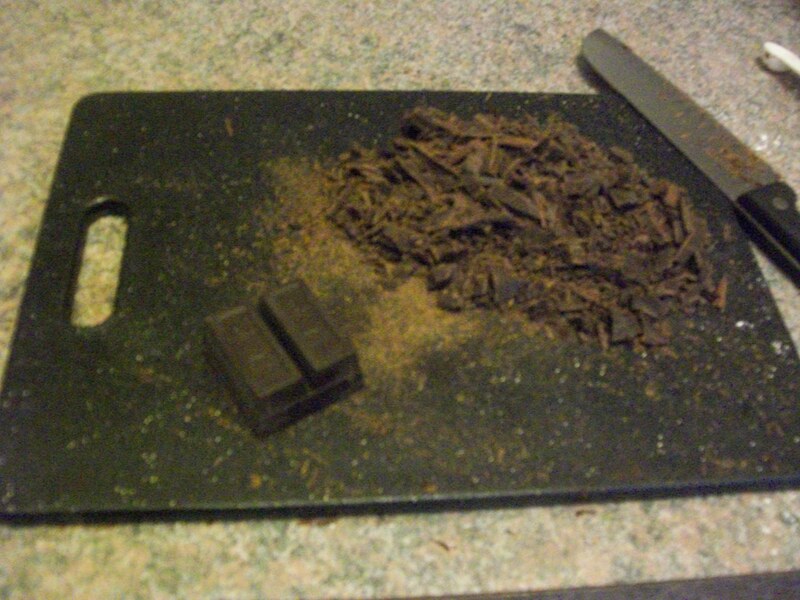 Then I chopped up the unsweetened chocolate until it was rather fine. When they say unsweetened, they really mean unsweetened, because I got some on my fingers and tried it. No thank you. I won’t be doing that again. 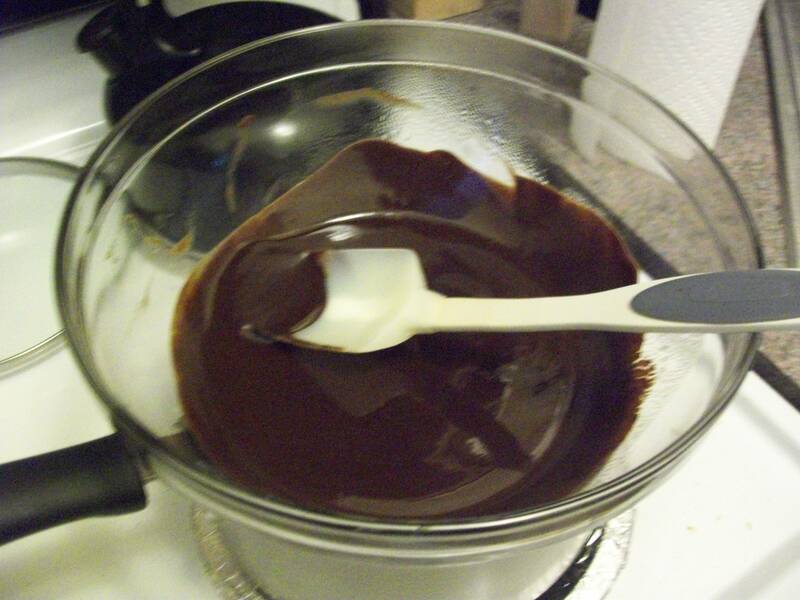 Then I put the butter and chocolate into a bowl to put over the simmering water in order to melt it down and make it super smooth. Then I added the sugar and mixed it all together. 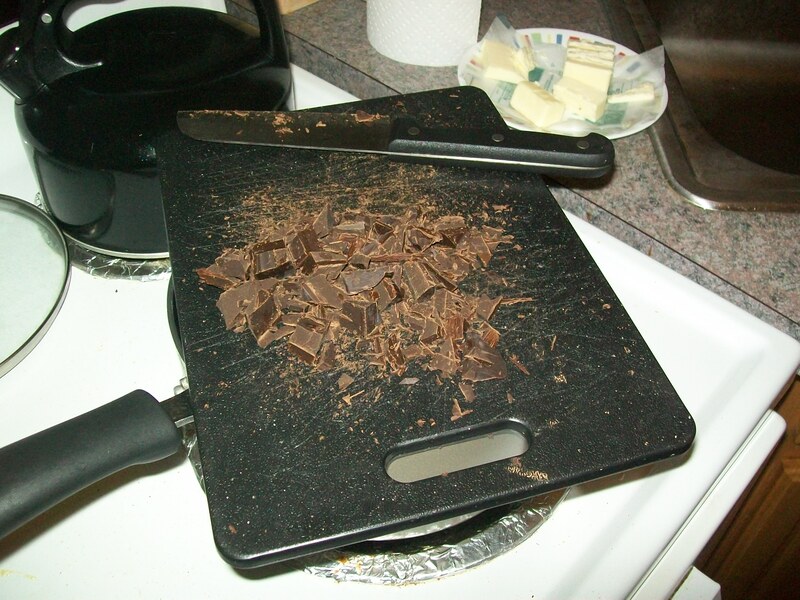 Then I prepared the springform pan to let the chocolate cool for a bit before I added the eggs. 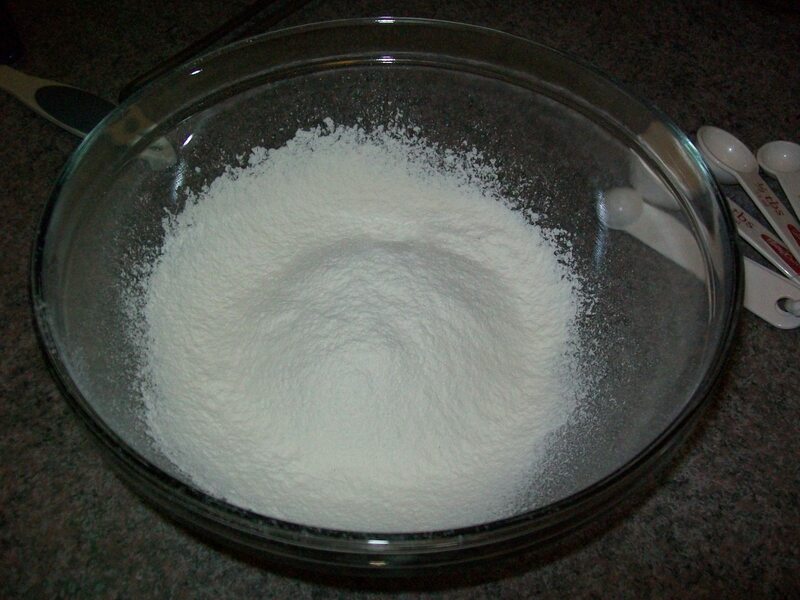 Next came the dry ingredients. Bit by bit I mixed it all together. Until it looked like this and was ready for the pan. 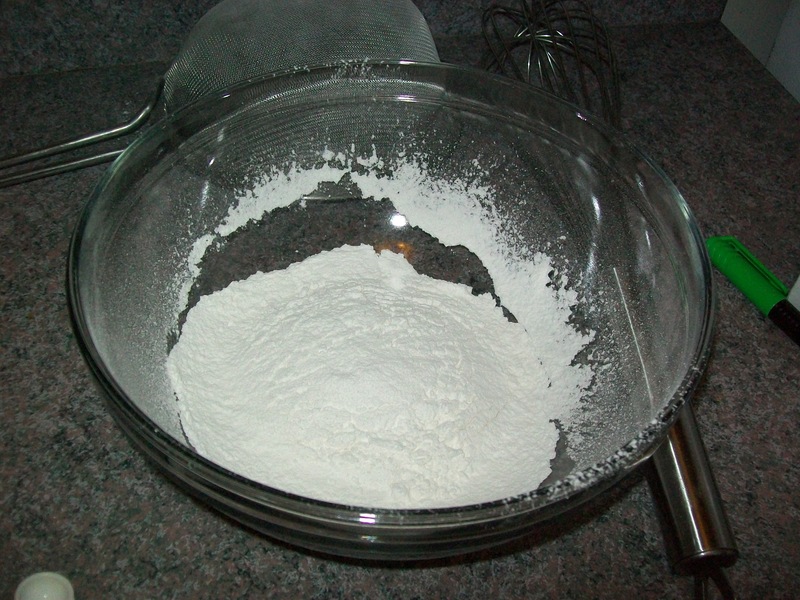 Then it went into the oven for about 30 minutes and I commenced washing my bowls and utensils so I’d be ready to make the cake part. When I stuck a fork in them to see if they were done, I did as any normal person would do, and ate the moist brownie crumbs that came out with the fork. Oh My God. It was absolutely HEAVENLY. I cannot wait to dig into that layer of my cake. 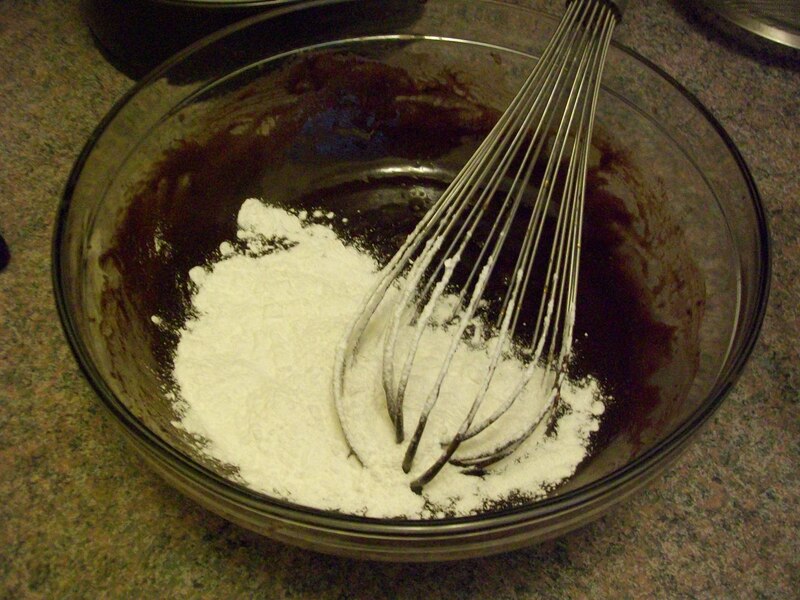 I’ll probably have to make these brownies just by themselves sometime. I started prepping ingredients for the next part while the brownies were still in the oven. 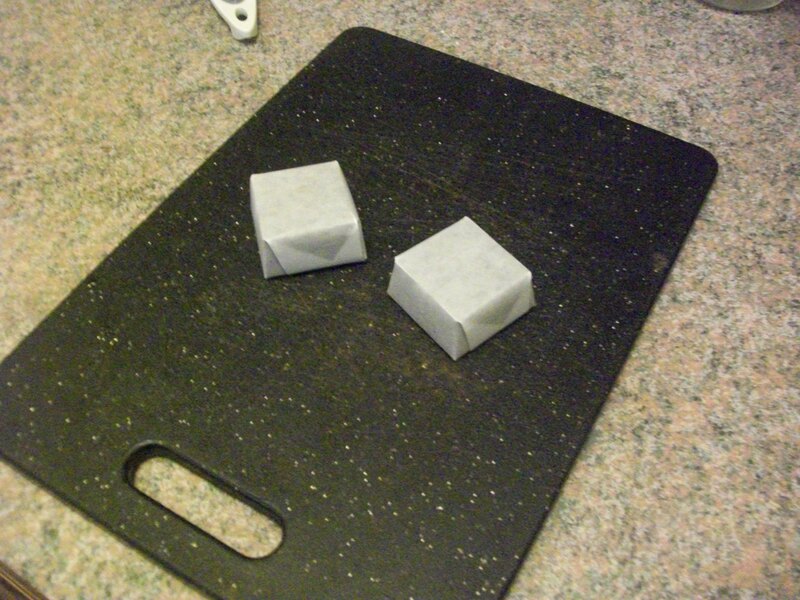 I chopped more unsweetened chocolate. This time into large-ish chunks. I didn’t actually chop on top of the simmering water. This position just had better lighting and was less blurry. Then there was more dry ingredient sifting. 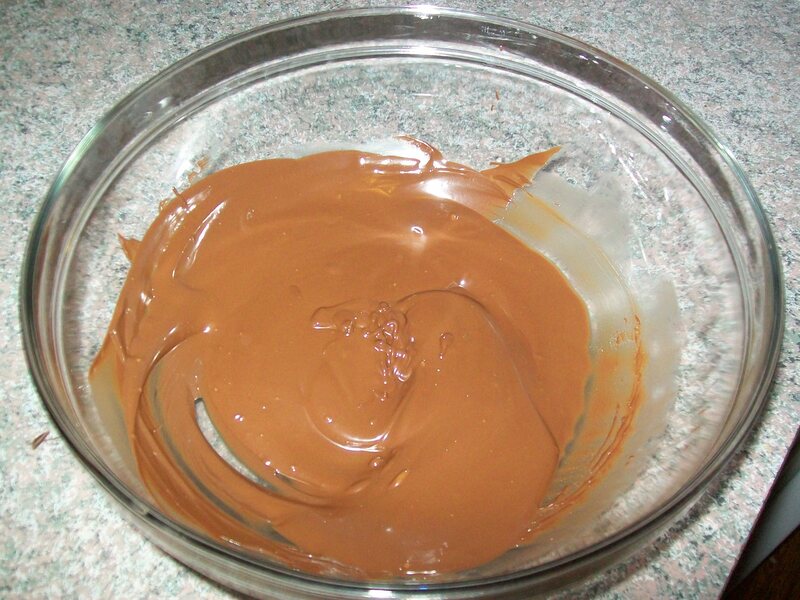 Now the chocolate, cocoa and water melting/mixing could begin. 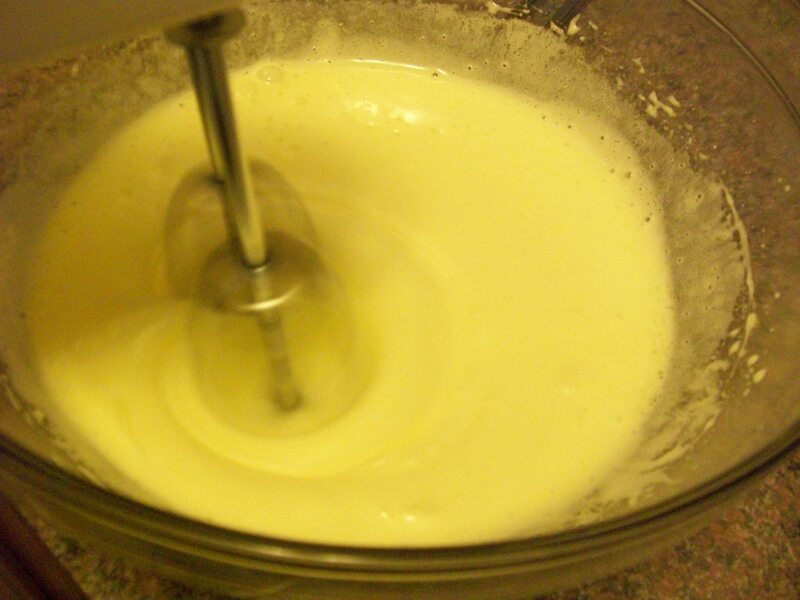 Once I added the sugar it looked much better and mixed much easier. 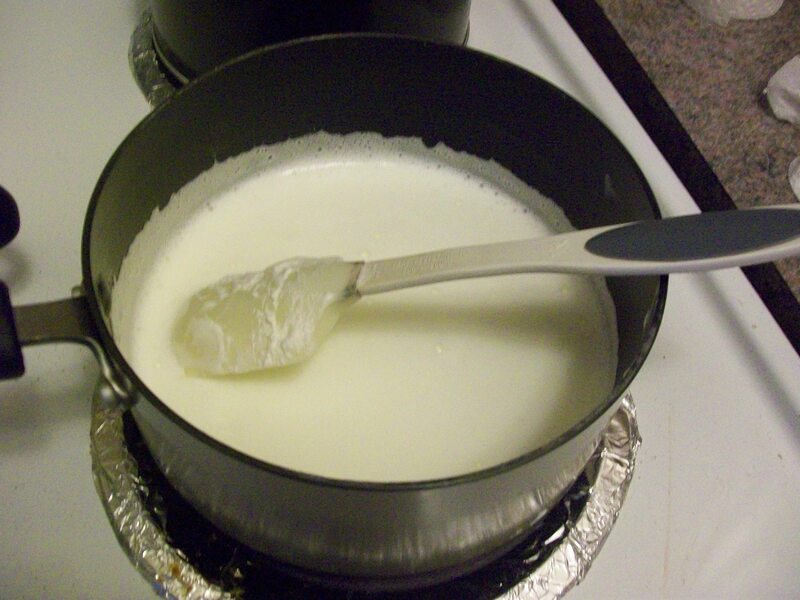 Then I mixed the buttermilk and vanilla and set it aside. 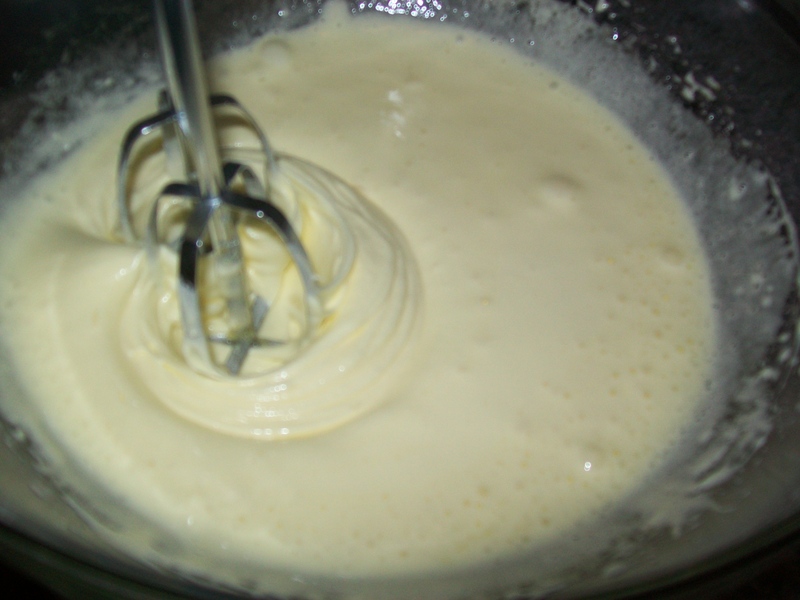 Out came the hand mixer so I could mix the eggs and sugar until it was all nice and fluffy. I was amazed when I took a couple of pictures with the flash on as I was mixing because I swear the mixer is on in both of them. 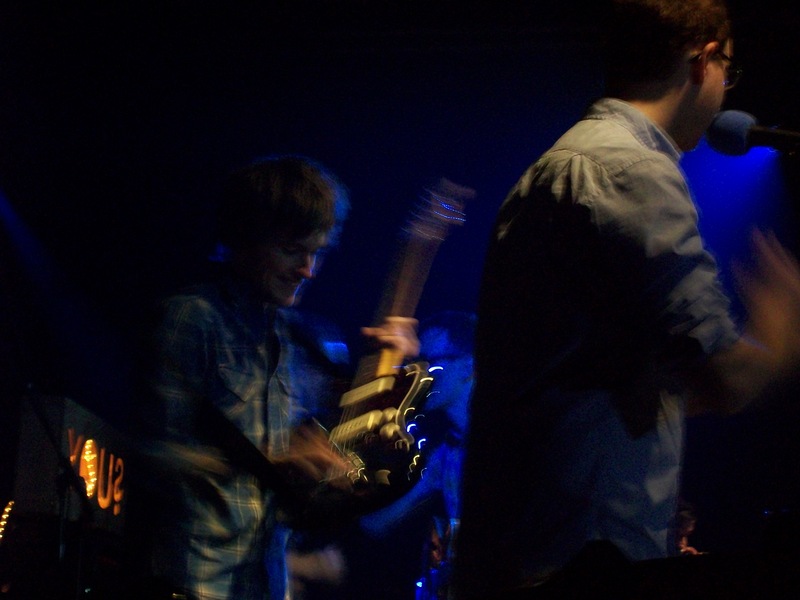 It doesn’t even look like the beaters are moving in the second picture. Aren’t I easily amused. For some reason I failed to take pictures of mixing everything together, but it really just wasn’t that interesting. 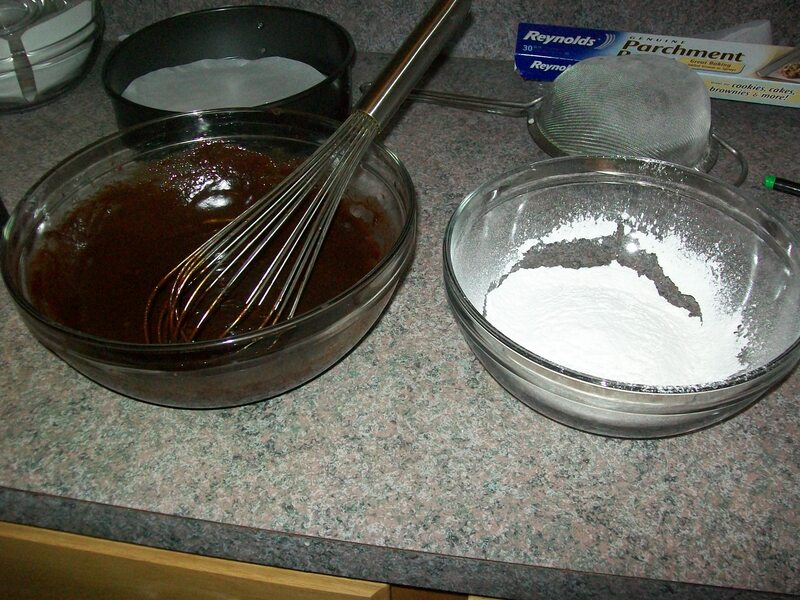 I added the chocolate to the eggs and sugar and alternated adding the dry ingredients and buttermilk/vanilla mixture. 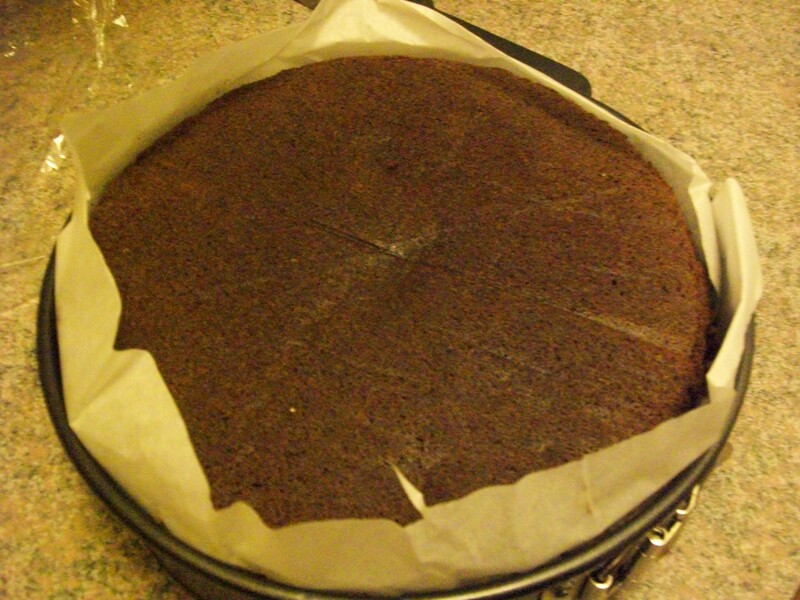 Then everything went into the prepared cake pan to bake for nearly 40 minutes. The recipe said 30 minutes, but I guess my oven is colder so it took longer than expected. After the cake was out and the dishes were washed again, it was time for a break to let everything completely cool before I started on the mousse. 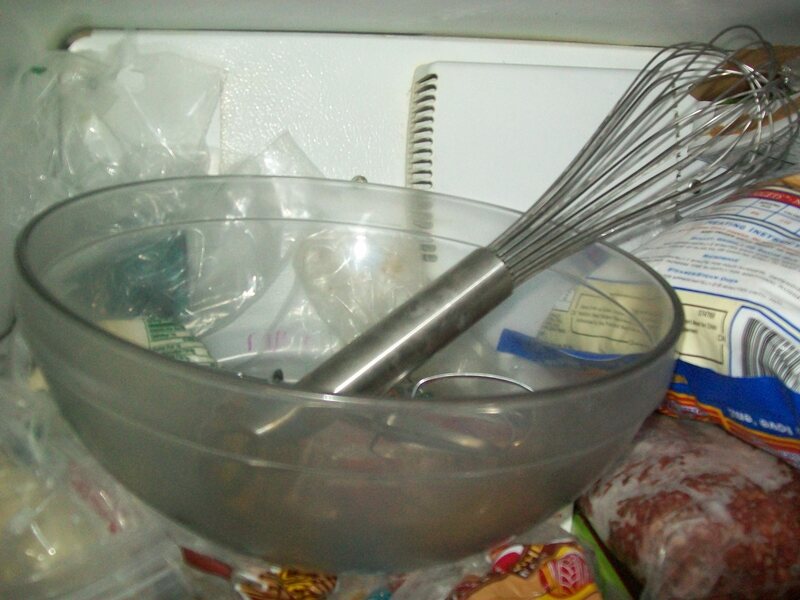 At this time I also put a bowl, my whisk, and the beaters in the freezer because they’re supposed to be “well-chilled.” I figured about 2 hours would be enough time in the freezer. I had a slight mishap while making the mousse. I didn’t look at the recipe and so I poured both pints of heavy cream into my bowl. 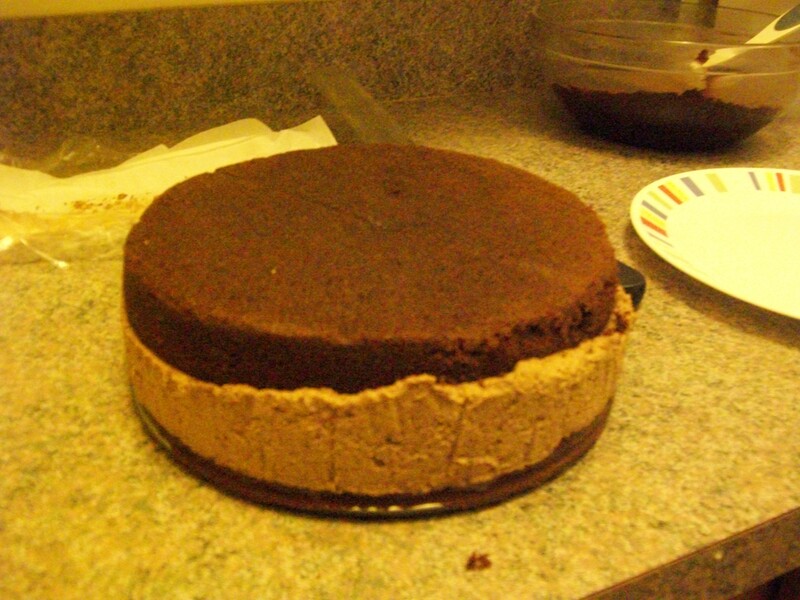 As I was whipping it, I kept thinking “This is so much mousse for the middle of the cake.” And then I remembered that I only needed ONE pint of it. *sigh*. At least I remembered before it got completely whipped and the chocolate was added. 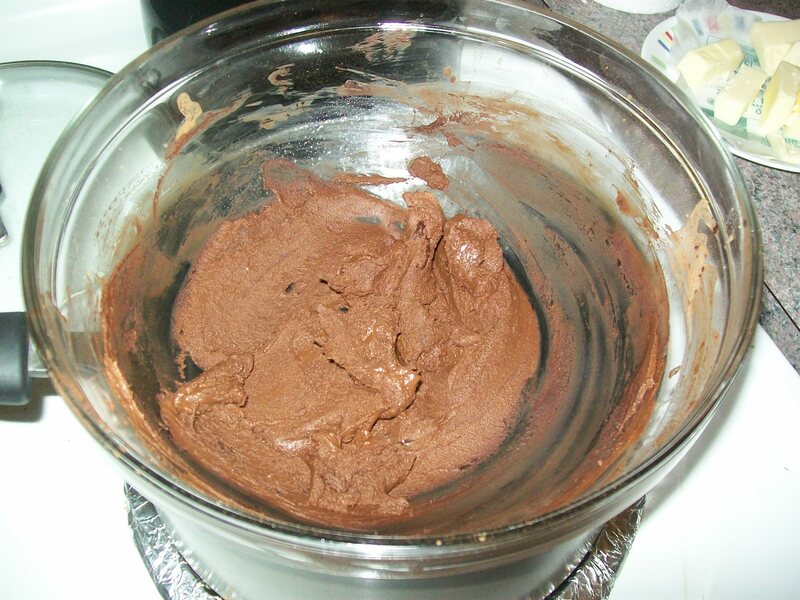 I just took out half and put it in a bowl so I could use it for the ganache later. 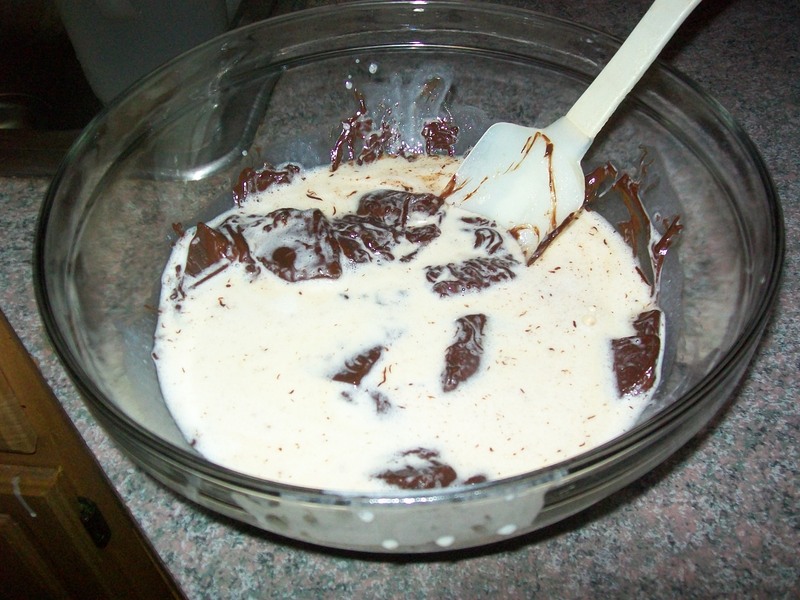 I also failed to photograph the mousse-making process, but it was just melting chocolate, whipping cream and adding them together. 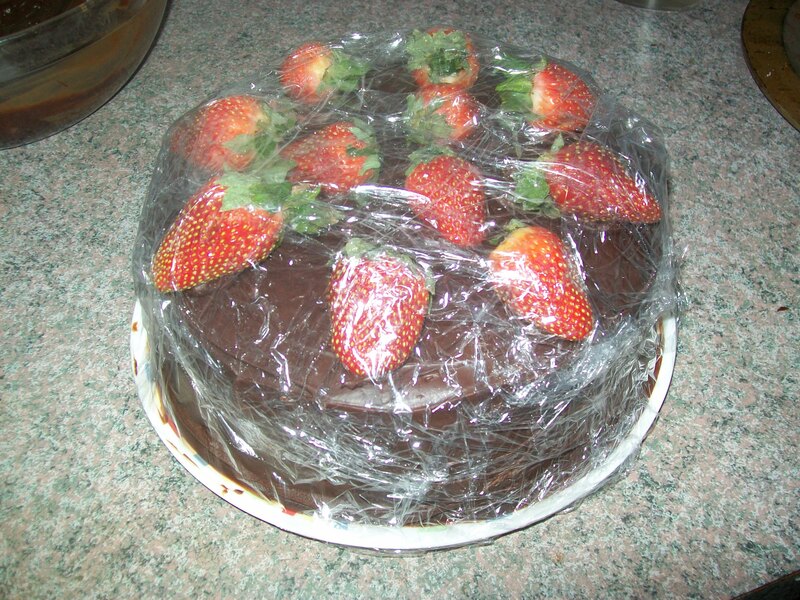 The I assembled the cake in the springform pan, covered it in plastic wrap, and let it chill in the fridge for an hour. 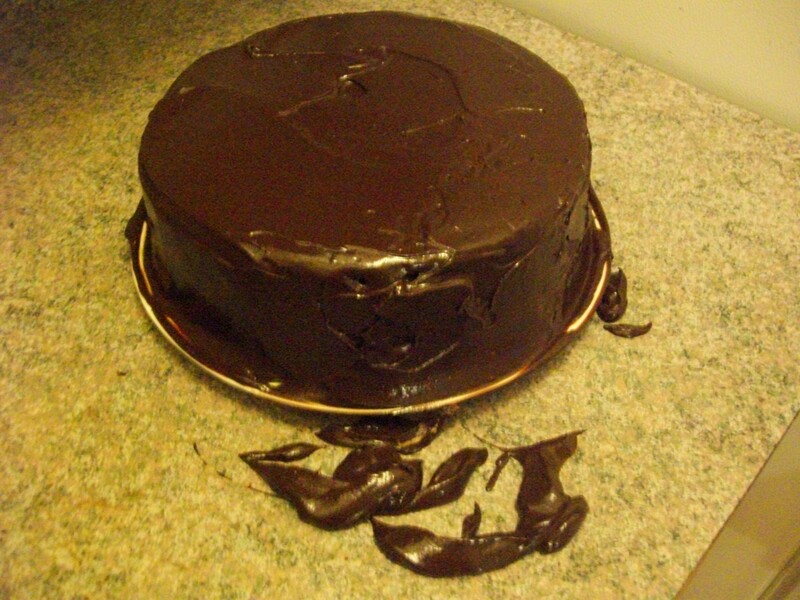 The ganache came together very nicely, even given the slightly whipped consistency of the cream. Most of the air came out of it after it was brought to a boil and then taken off the heat, so thank goodness my lack of attention to detail did not have any ill effects. I have never used to much chocolate in one day. Let’s tally it all up: 5 1-ounce Baker’s unsweetened chocolate squares, 2 tablespoons of cocoa powder, and 6 4-ounce bars of Ghirardelli semisweet chocolate. 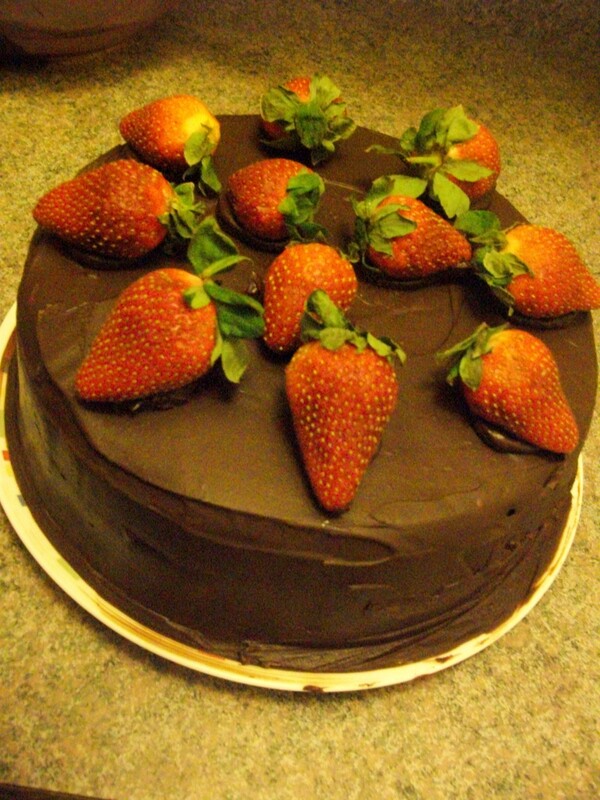 That’s about 30 ounces of chocolate, which is nearly 2 POUNDS! Paired with the sugar in this cake, it’s sure to be a rich chocolate coma and sweet sugar rush to remember. Doesn’t that look SO good already? 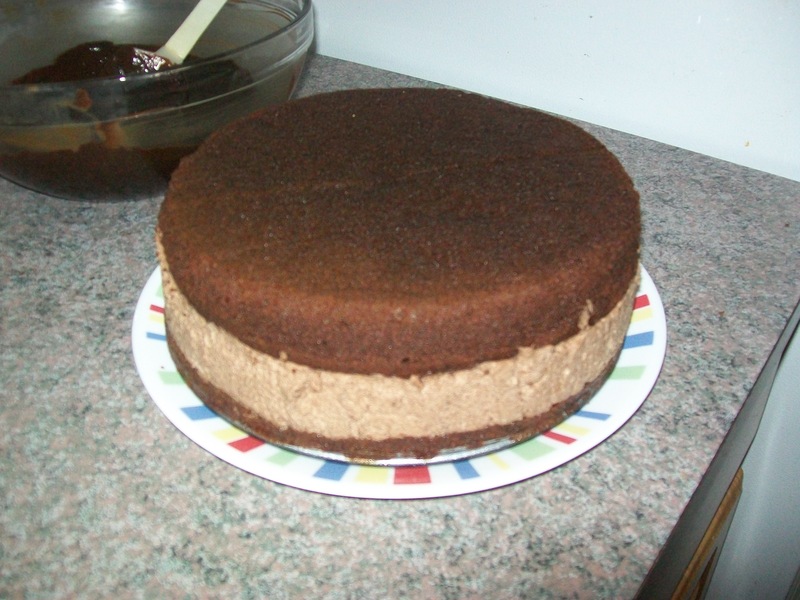 I wanted to eat it then and there, even without the ganache. Boy did I make a big mess. 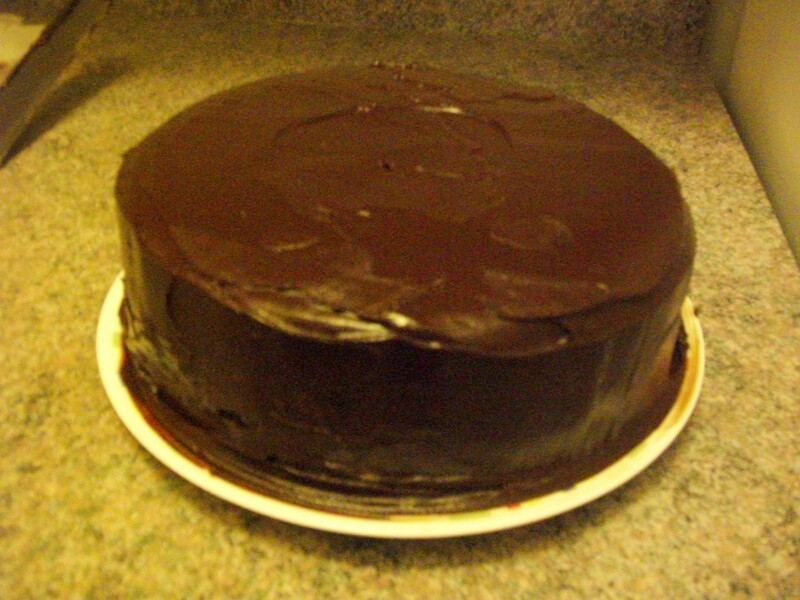 I let it chill in the fridge for about an hour and a half to set up and for the ganache to harden a bit. 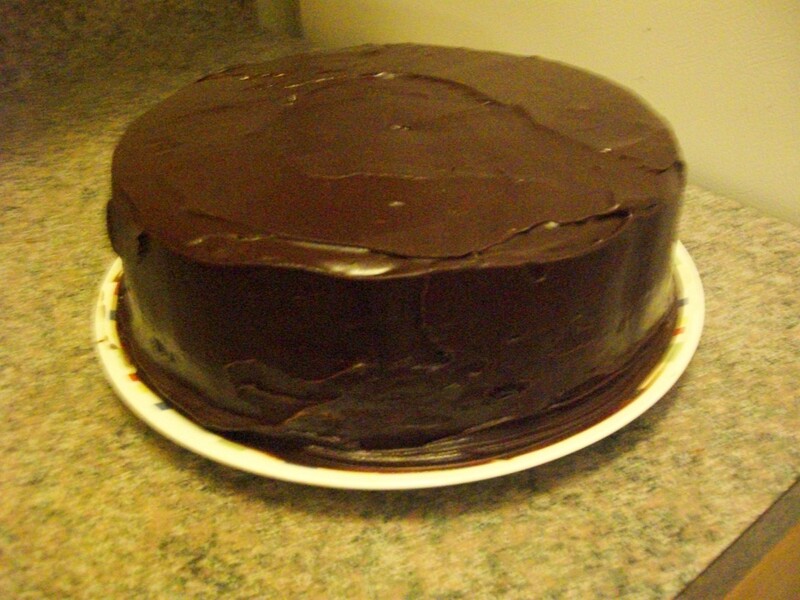 I am happy with my ganache-ing skills and especially pleased that the cake is nice and flat and as straight as I could ask for. I’ll be sure to make another post detailing the demolition of this delicious-looking (and hopefully wonderful tasting) cake. Now it’s all wrapped up to chill in the fridge until tomorrow afternoon when I can finally dig in with some friends. It’s going to be a long, long night. . . .
At this point–and before having even tasted the final product–I think I can honestly say that this is one of the creations I’m most proud of making. It may have taken me from 10am to 7:30pm, but I would happily make this again and again, as long as I do not have to rush the process. 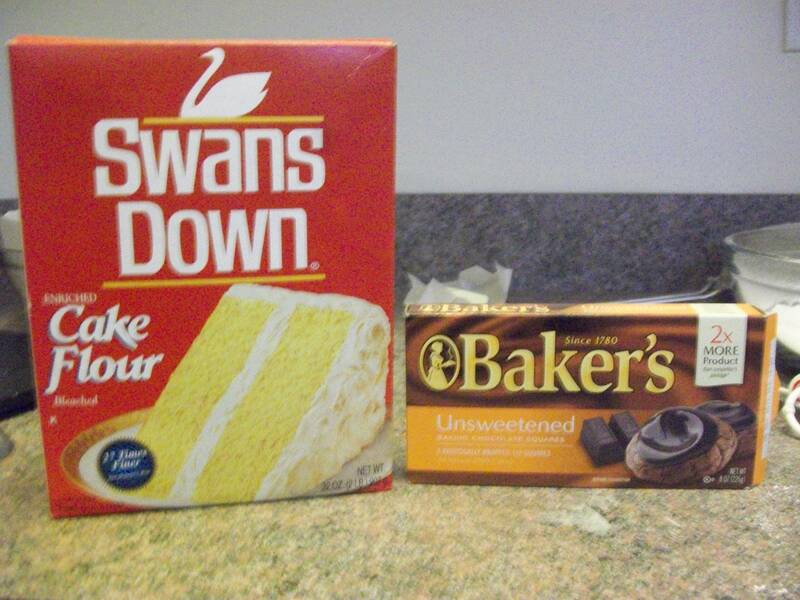 This was the best birthday-cake-making day I could have asked for. LET’S MAKE IT TOGETHER. it looks like sweet, amazing chocolate death. 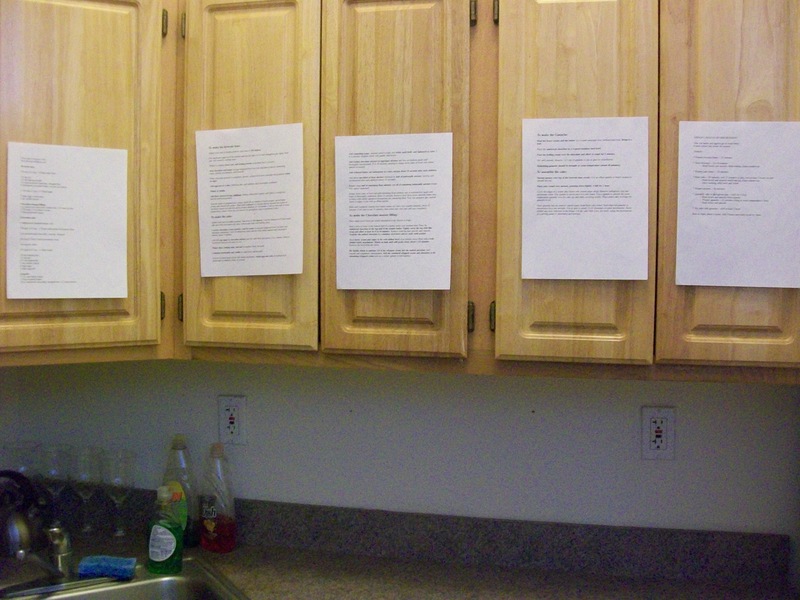 also, i love your idea of taping the recipe to the cabinets and highlighting. i’m glad everything was a success!